Craig McKenzie has over 20 years of experience. 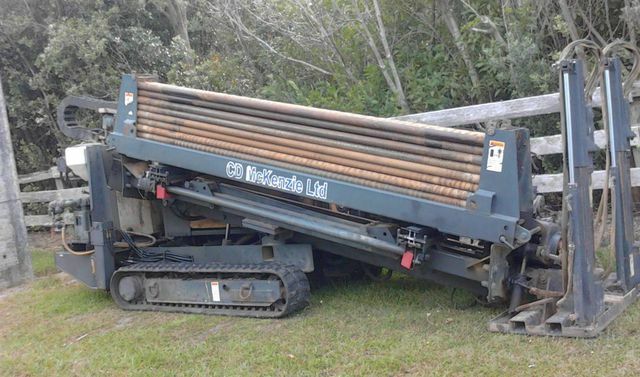 At Craig McKenzie we can provide you expertly trained drillers, installation specialists and personalised drilling services for your drilling needs in Auckland. Established in 1987, Craig McKenzie offers fast, cost-effective and quality services. Skilled drilling services requires expertise and at Craig McKenzie in Auckland we are trained to make sure every rock we drill, every pipe we lay and every piece of advice we give draws on our training and experience so you can trust the quality of what we do and what we say every time. Craig McKenzie is the only choice for professional drilling services in Auckland. We work within budgets, we know how to communicate, we are time efficient and we offer solutions to the problems you can see and the ones you can’t. What makes Craig McKenzie stand apart from the crowd is our ability to offer not only one-off services but end to end solutions that will save you time, money and eliminate the need for dealing with more than one contractor. We sell the products we install, we provide answers to problems we have years of experience solving and we create, manage and complete the projects you need done with skill and expertise. © 2019 Craig Mckenzie Drilling.